A dear friend of mine recently asked me to photograph his wedding but he asked for “just a few funky portraits after the ceremony” ie just a creative couple session. 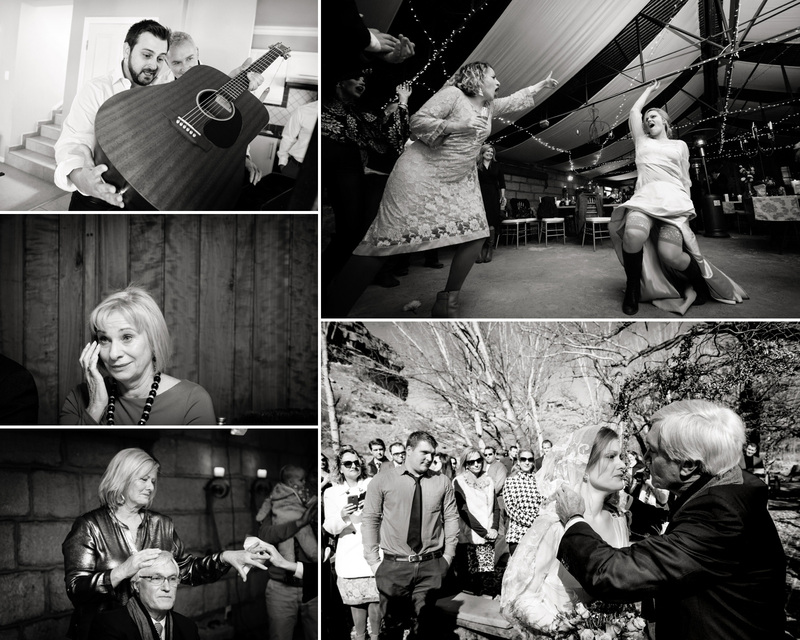 I was a bit horrified, as to me, wedding photography isn’t just about pretty arty portraits, it is about all the moments in between and I really felt like they would be missing out. I thought about this for ages and then decided to ask my past clients to send me a little blurb about their favourite images. The results were surprising at times but mostly they were really moving. This exercise really made me realise the value of what I do for my clients and I shed many a tear reading people’s stories. 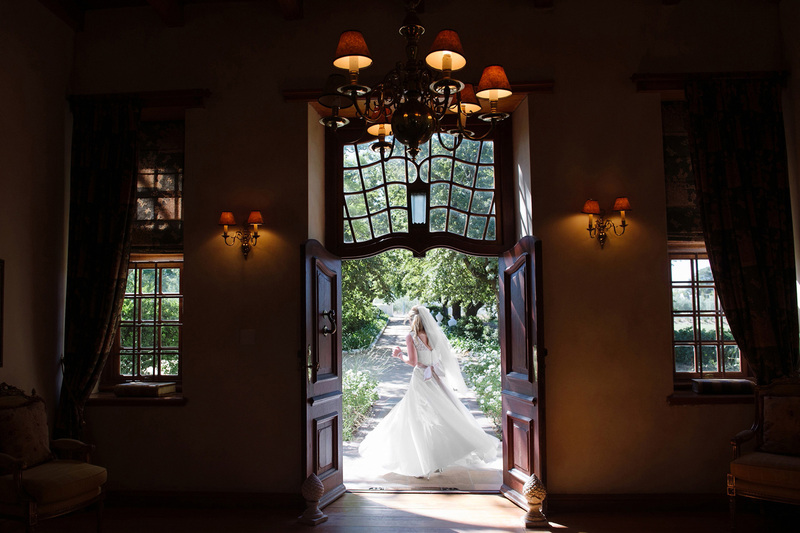 First up we have Kristen ….. Click here for Kristen and Costa’s full wedding. Because of your photographs I get to see my Dad’s face just after he gives me away and know he still just sees a little girl; my friends and family crying because their generosity of spirit let’s them empathize with us the whole day. I see myself in black, leather boots on the dance-floor because deep down I’ve always been a bit of a rebel. Costa’s look of almost confusion when he got the guitar which I surprised him with, because he has a grateful heart that never takes anything for granted… It’s a privilege to be able to take stock of the beautiful characters that enrich our lives & also to get a rare glimpse of how others see us. The creative portrait shoot is a once in a lifetime opportunity that I am so grateful for – but the doccie pictures are absolute treasures. 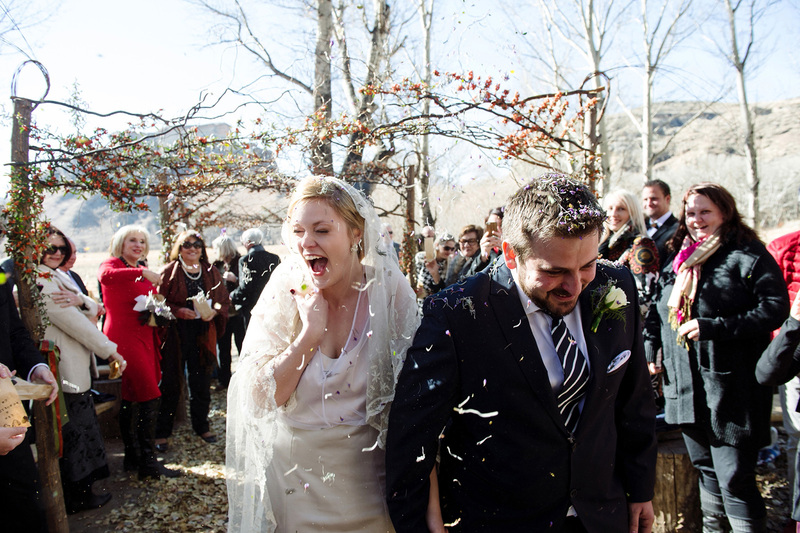 I love this confetti image as it just captures so many emotions; utter joy and feeling completely overwhelmed with love. 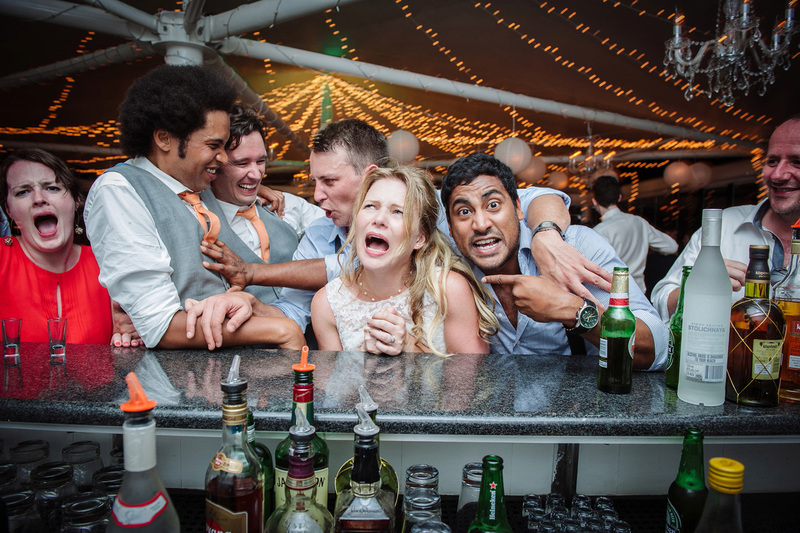 The tequila shot is one of my favourites as it shows a different side of us and of the evening; there’s something awesome about the contrast of suits & (fake!) fur with doing shots. And now for Zara and Brett …. Click here for their full wedding. 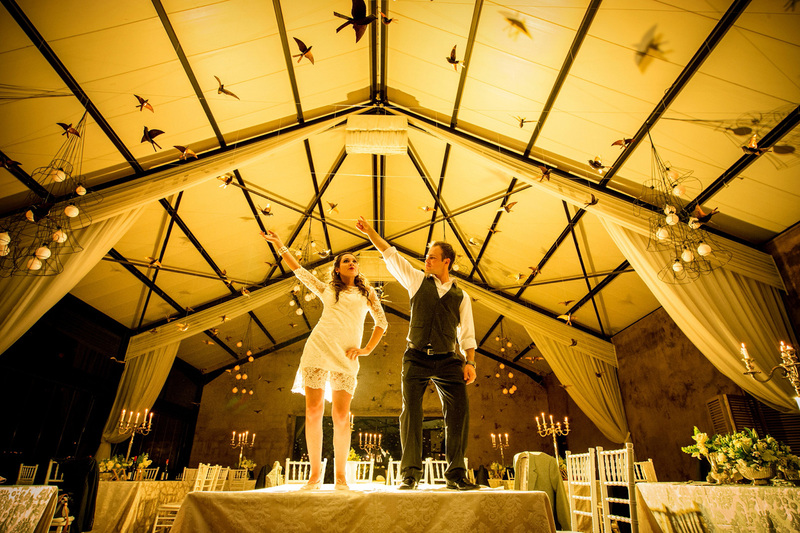 Couples definitely need the best of both worlds when it comes to their wedding photography ie portraits and photo journalism. For us nothing ever felt styled, just loads of fun and memories. We do not look at our photographs and define them as either creative portraits or real memories because all of them feel like special moments caught in action. 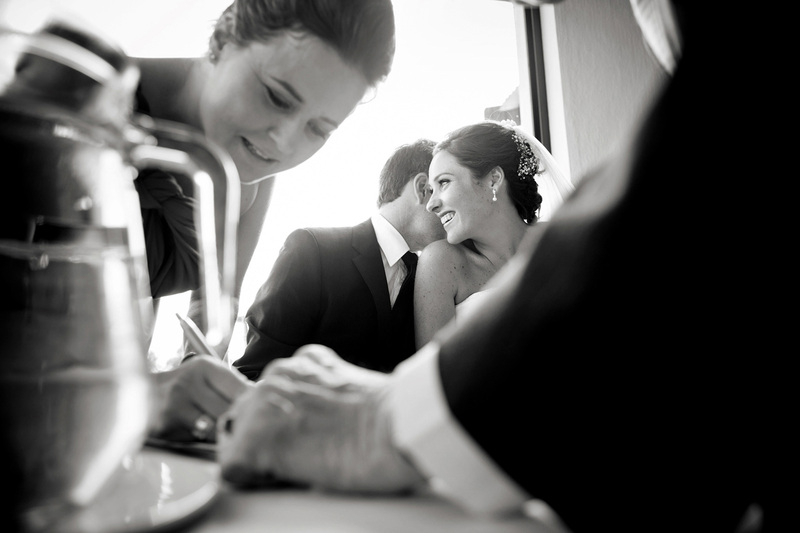 We chose this photo as one of our favourites because it is such a special moment that happened just after we said our I do’s. It felt like it was just us alone in that room. It was just after we signed the wedding certificate and Brett whispered in my ear “Love you my wife” … and my heart just melted. Love love love this pic as it is so much fun and so us!!! That is almost exactly what we look like in everyday life when we are in that car, we just loved it. 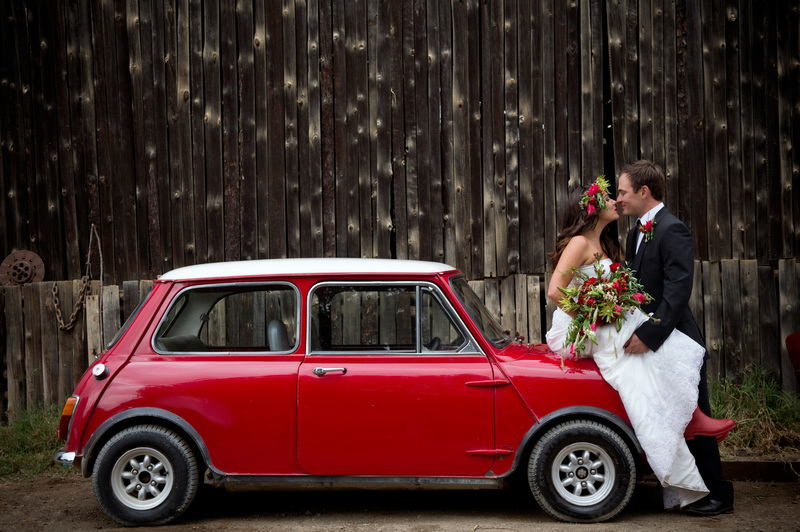 The minis were also a part of our wedding and it was great to have them in our photos to look back on and smile. 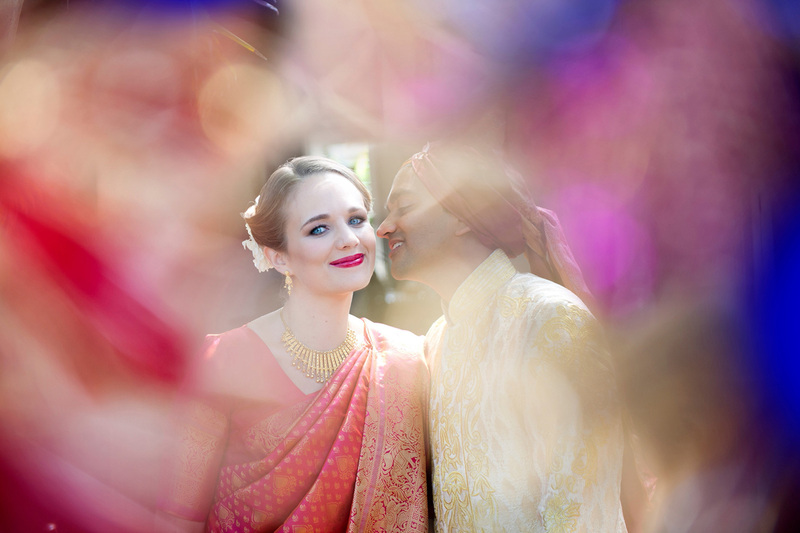 Onto Sarah and Sharan: Click here for their full wedding. My Mother passed away some time ago and this is one of the only pictures I have where I clearly see my mother in myself, exactly as I remember her standing and laughing. This was a special surprise for me when got the photos. I love this photo as it is just magical. A poem in pictures! 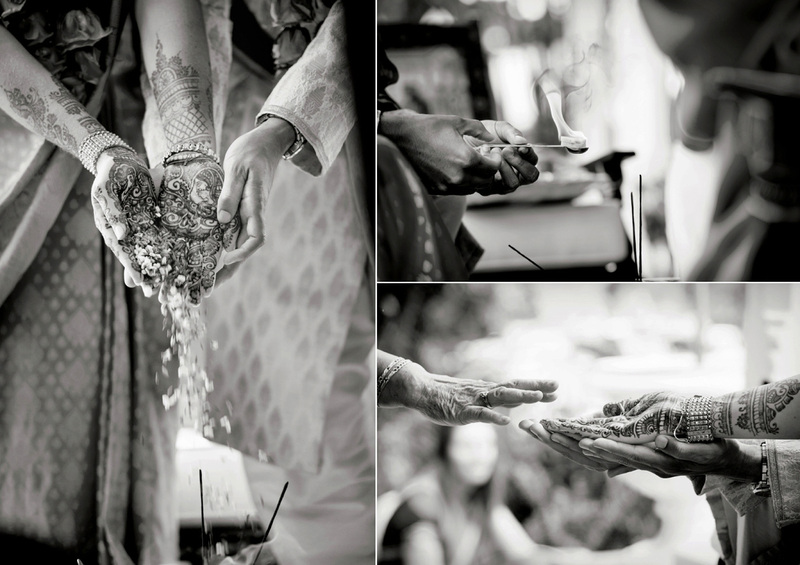 Little vignettes showing the tenderness and spirituality of that beautiful ceremony. 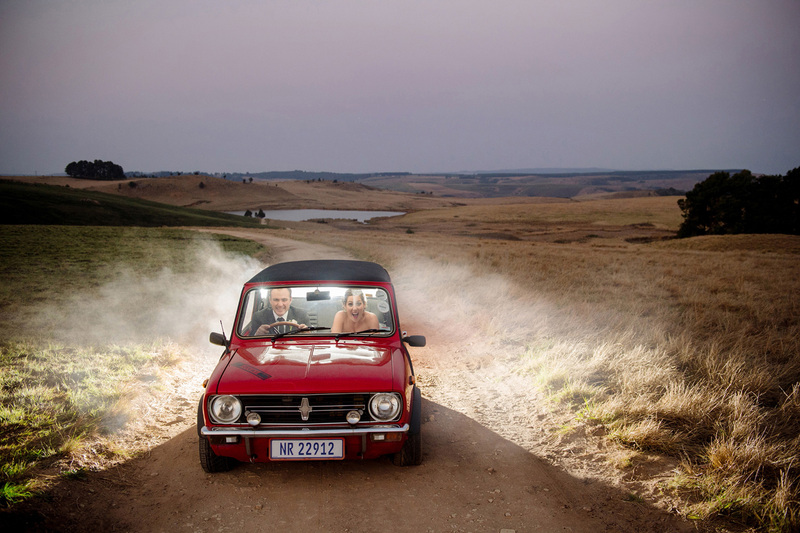 Onto Heloise and Owen: Click here for their full wedding. 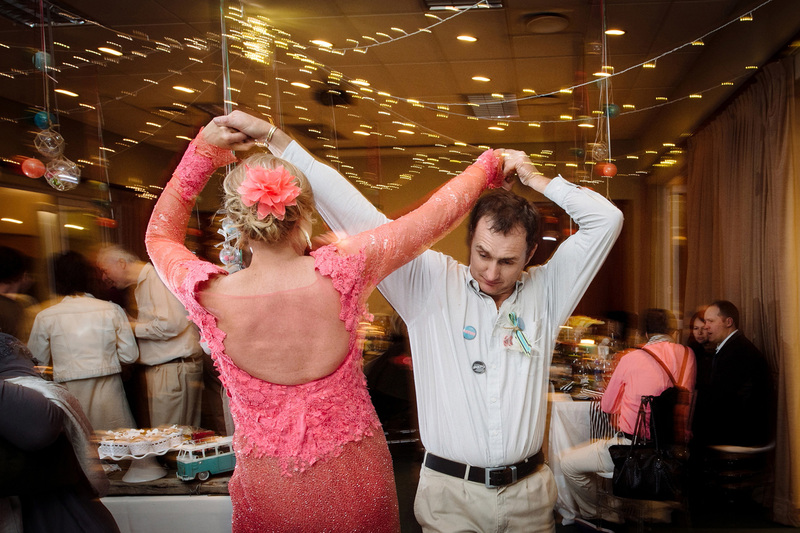 This photo of me dancing with my brother is so meaningful to me as he passed away not long after it was taken. I enjoyed that moment so much, oblivious to the fact that that night would be the last time we would dance together. 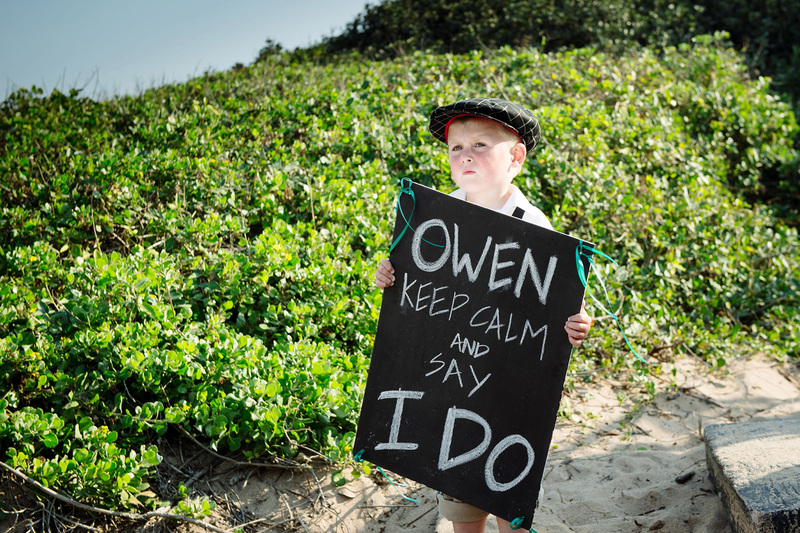 I love the irony of this photo of this cute boy who is never calm holding a stay calm sign for someone else. 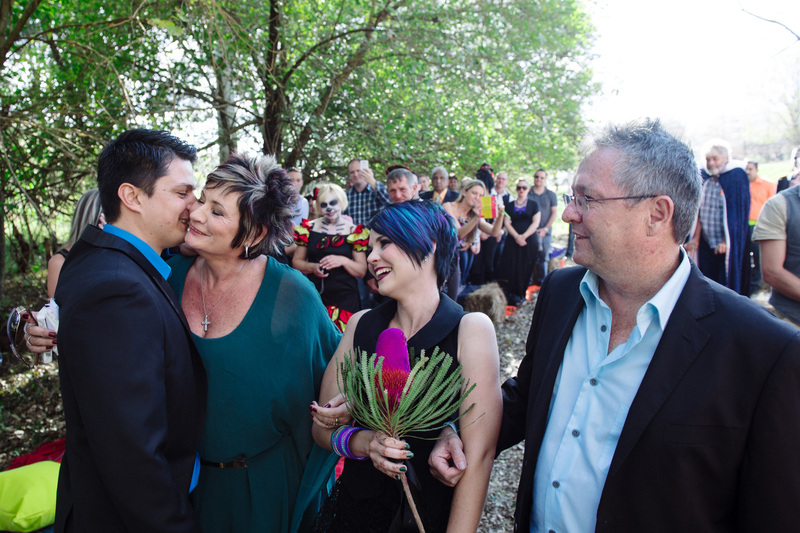 Onto Sam and Stew ……Click here for their full wedding. Totally selfishly, I chose this pic as one of the few photos of myself I really love. Also, it reminds me of how light and floaty I felt that day. 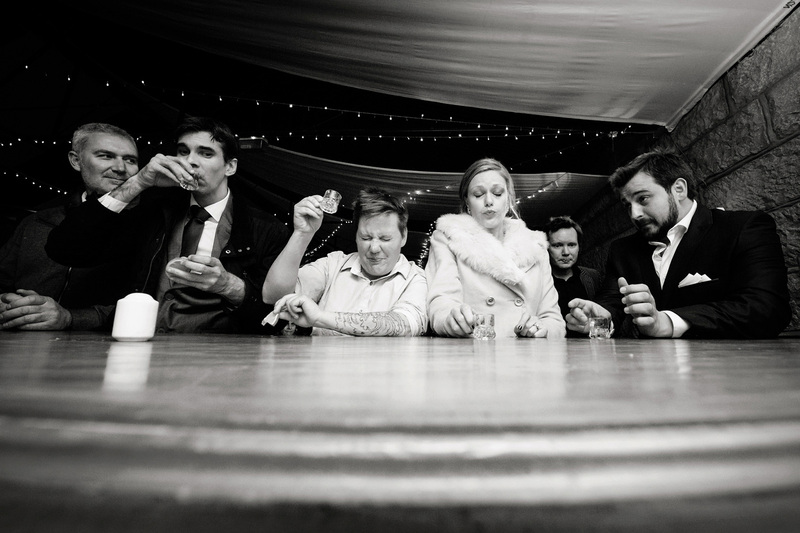 My all-time favourite image of our wedding…. 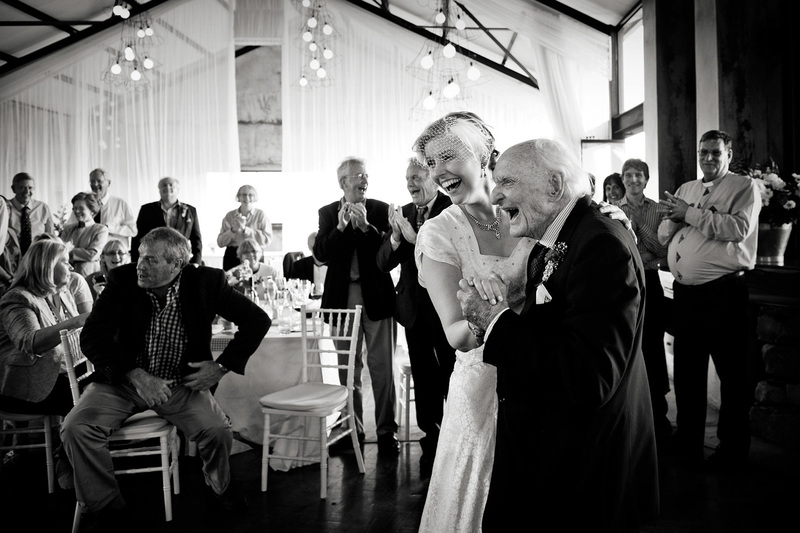 Dancing with my 91 year-old grandpa wearing the same dress his wife wore 60 years before. My beloved LK passed away 8 months later, and this was the last time i saw him – a very special moment of sheer shared joy. Onto Lisa ………. For Lisa and Shawn’s full wedding click here. This pic of Jade, James and I sitting outside the church laughing is one of my all time favourites as it is the first photo ever taken of the three of us siblings together. It’s incredibly special to me, and although i can’t remember the joke that was made it was clearly just shared between the three of us. The moment you captured depicts the closeness we share even though we are mostly far apart and didn’t grow up together. 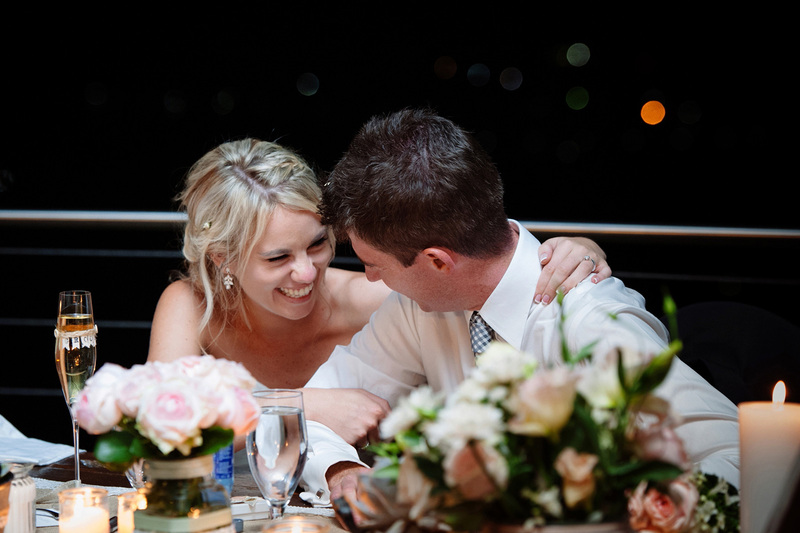 Onto Jenna and Andrew: Click here to view their full wedding. 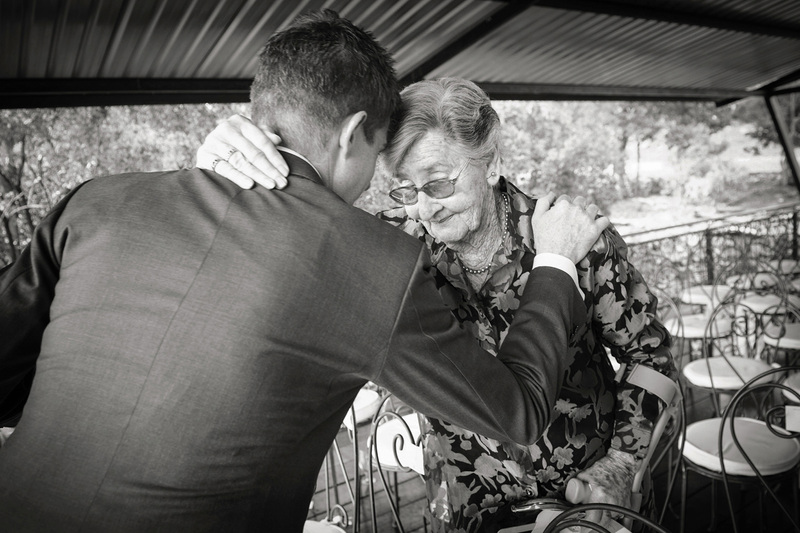 We love this special moment with my Ouma. 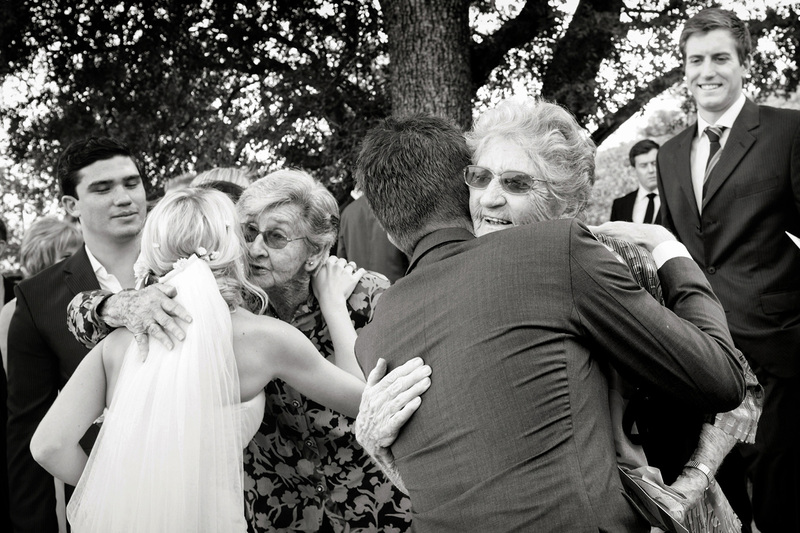 This is really special – probably our all time favourite – Andy and I hugging the other’s gran. 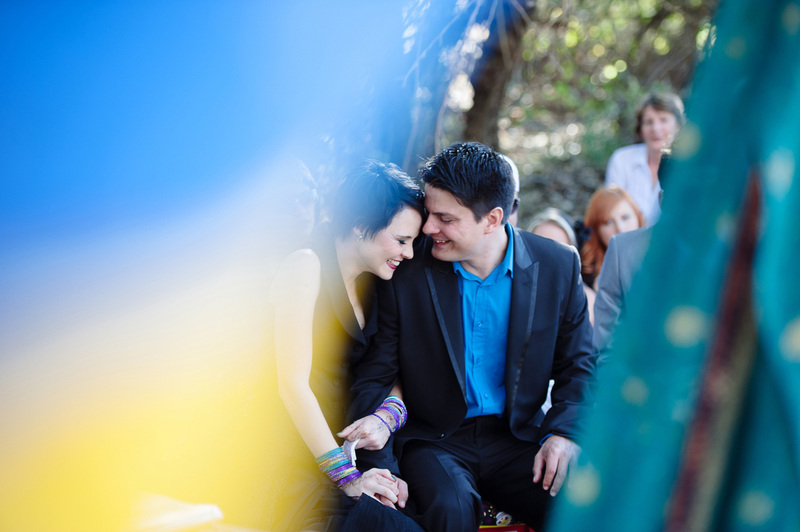 This one is just great at capturing us on our happiest day totally unaware of the camera. 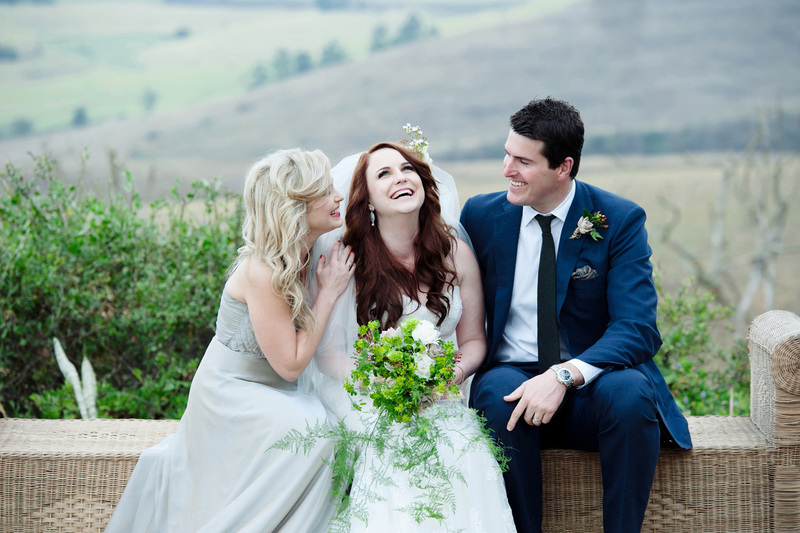 Onto Rachelle and Ashley: Click here to view the full wedding. Both Ash and I love this one. 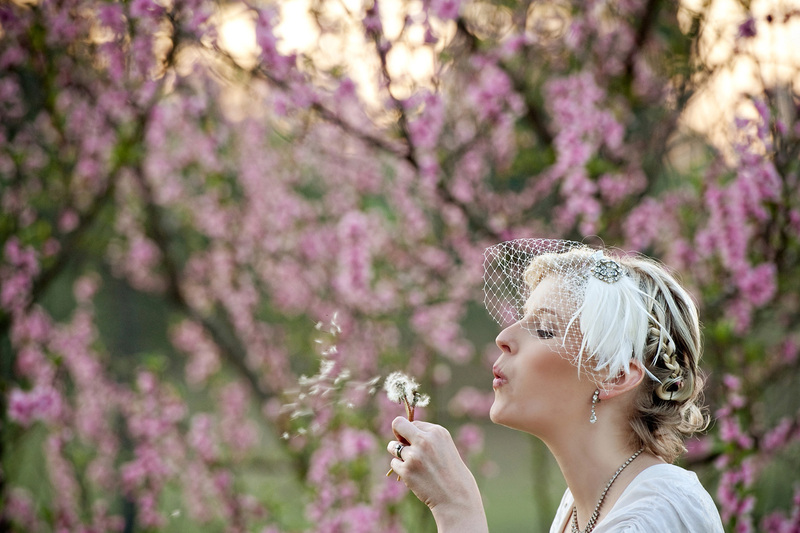 I had no idea that I would love the fairytale aspect of the day until I was there, twirling and thinking about how lucky I was. We love the heritage of the shot, it could have been taken at any moment in the last 300 years. This playful moment is perfect. 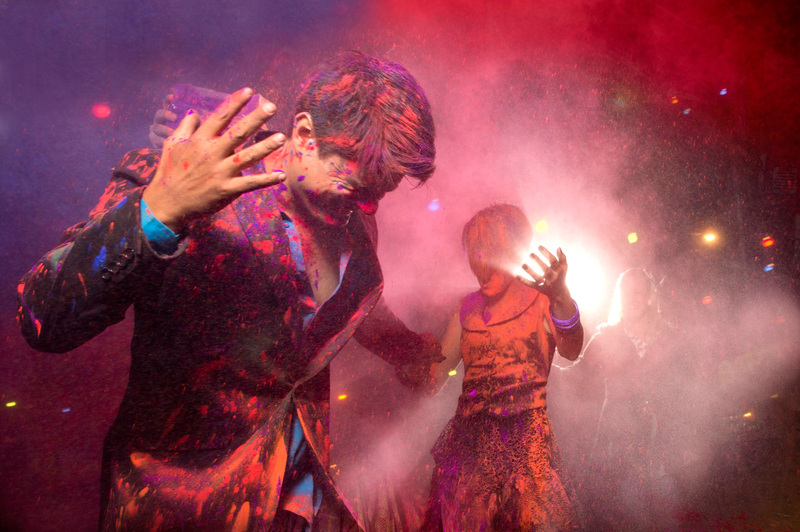 Our friends and the vibrance and colour are all so powerful. The fact that Ash and Sam have clicked their heels many a times (including on our road trip round France last year) reminds me of our heritage and how lucky we are to know such wonderful people. We’ve been going back through the pics and sharing them with others, so many beautiful shots and moment. The one thing that I noticed about ‘reliving the day’ is that the shots often capture so much at once. This is important to me because of the stillness. We talked so much about the night, the set up, the ever important lighting. We also were given advice, to stop through-out the day and take a minute to have some wonder about how special it was. This reminds me of that feeling. So we have been dating for a while, about 14 years to be exact. In this time we have become very close to our now in laws (on both sides). Both our families were very involved in this big day of ours and have been almost as excited about this day as we were. We often laughed and joked and even enacted scenes of how we thought this day would go down. Then on the day it was actually happening, it felt so unreal and emotional for all of us. This very moment here was often the topic of conversation or mockery, therefore making it so very special to us. We simply love this moment! It was captured exactly as it felt to us, like a secret giggle shared between two humans who are crazy about each other. 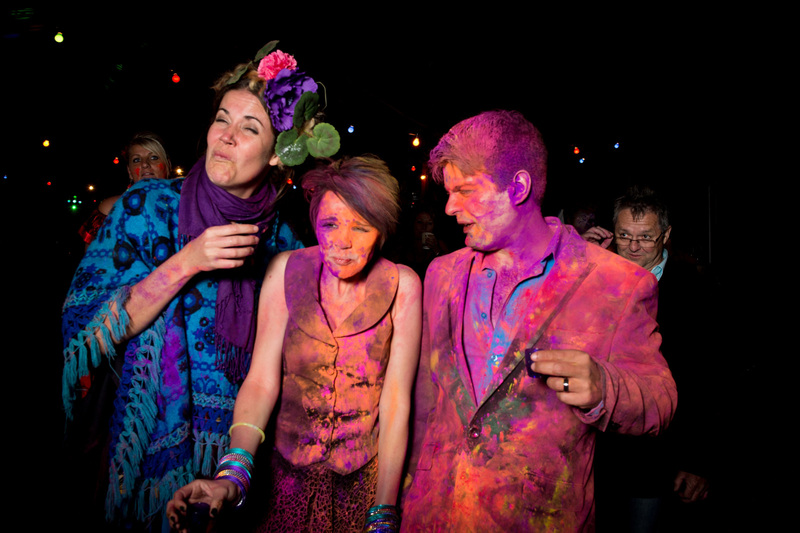 The amazing colour’s of the saris is an added bonus because we love colour. 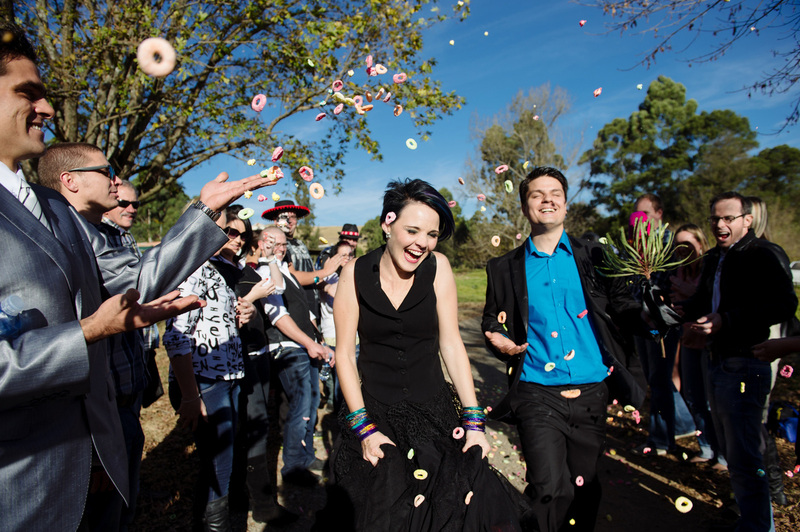 We look like two ecstatic kids, running through a fruit loop storm. It seems like the guests enjoyed the fruit loops as much as we did. 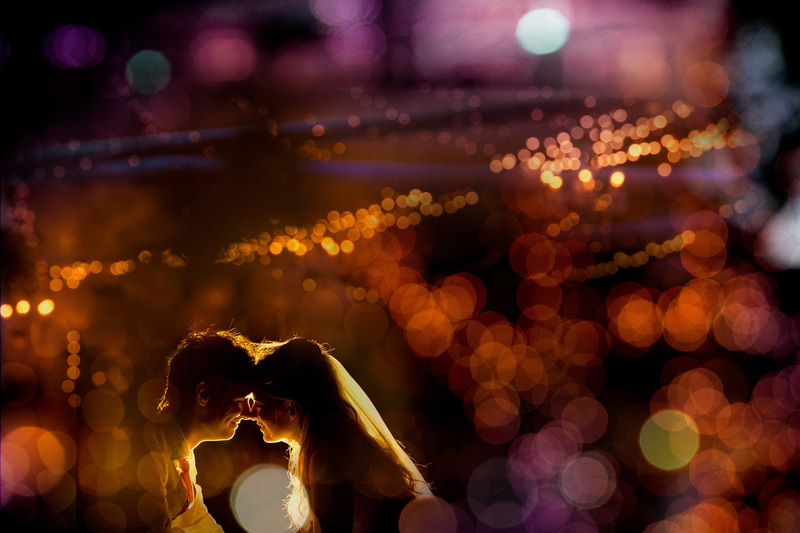 It is just a genuine moment, capturing exactly how we felt…like we were in a fantasy. So the Polish tradition is that you play games at weddings. Neil (blindfolded) had to find my knee from our lady guests and I had to find his nose from all our male guest. AND WE DID!!!!! Finding your special human from a big crowd of people whilst blindfolded is real special. 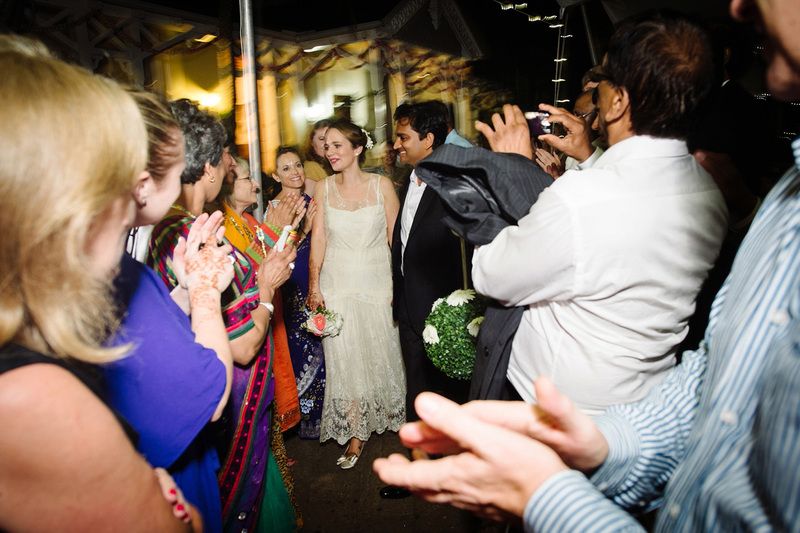 That is such a great memory for us and the guests really enjoyed being involved. (I very nearly chose my sisters husbands nose, and it has sort of become the family joke. That would have been really awkward.). 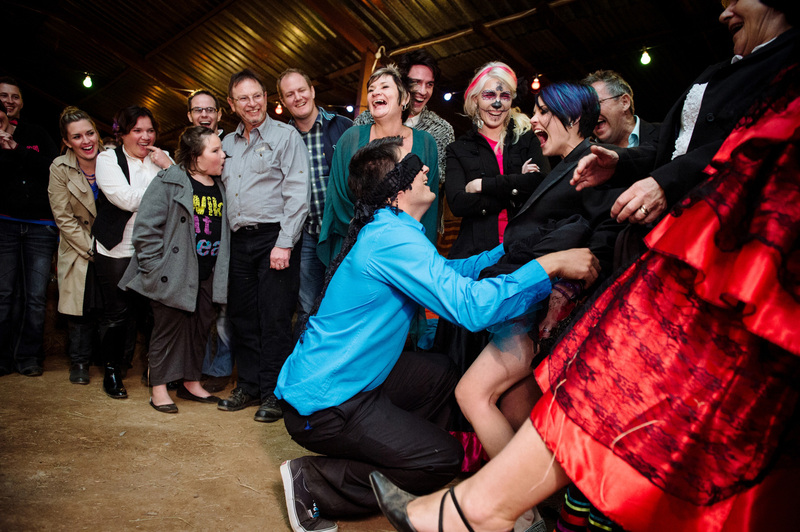 We love how happy all our guests look in this picture. 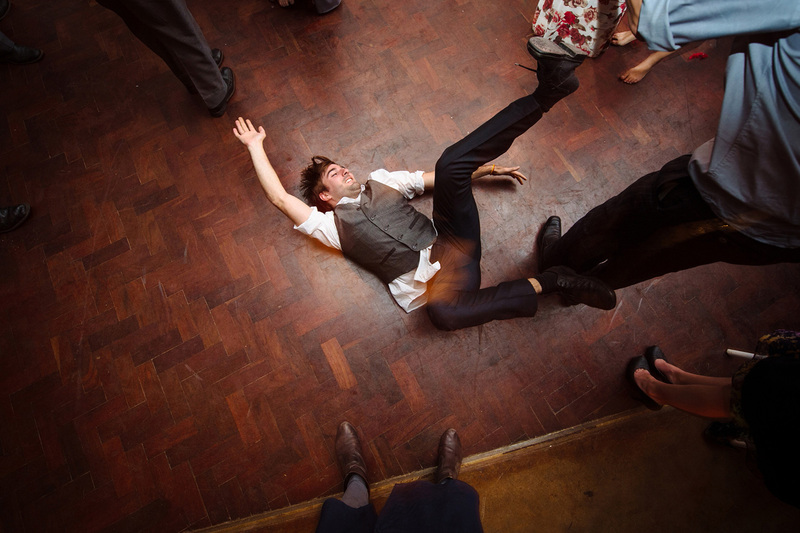 So we had a great dance that we choreographed ourselves, however only sort of physically attempted once. The reason was simply because, Neil was already staying in Jozi and I was still in Durban. 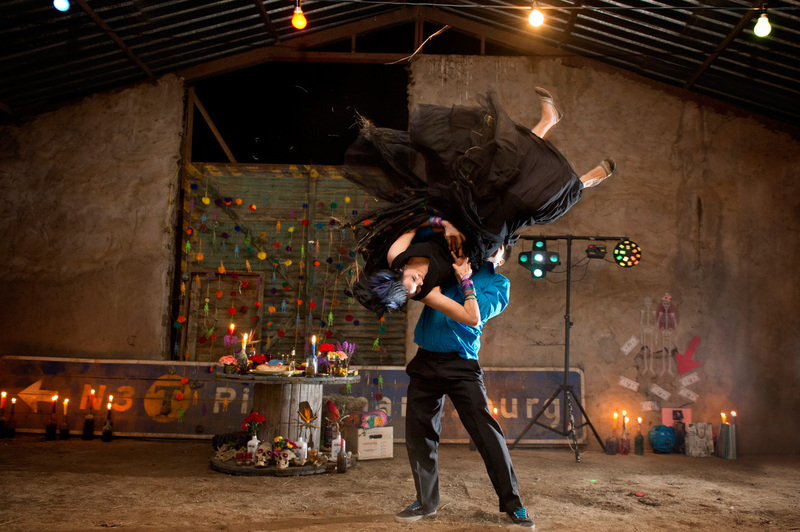 The dance was constructed via Skype and YouTube videos. The one time we actually attempted the dance, it resulted in a late night of hysterical laughter and a morning of body bruises. 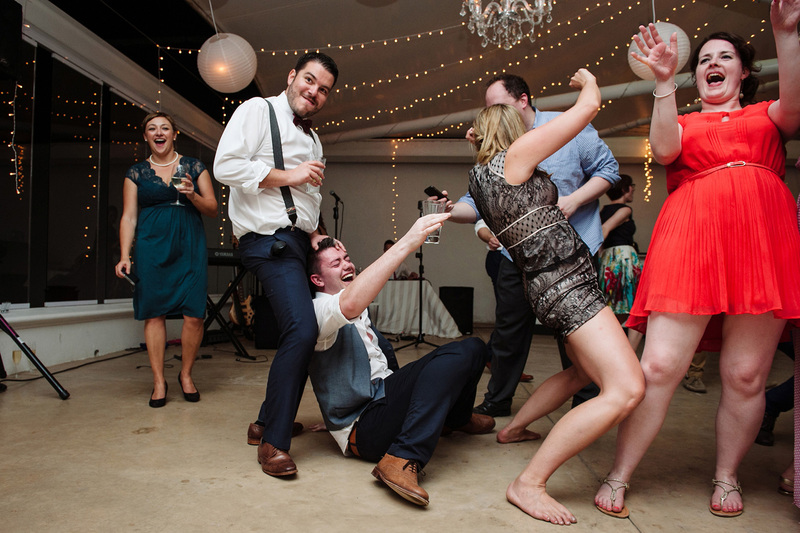 We contemplated backing out of attempting the dance on our D day for fear of sustaining injuries and potentially landing on YouTube for “First dance gone wrong.” But we winged it and this shot was the result. Not only was it a great moment on the day, but it reminds us of that great night of laughter. With more practice it has now become our party trick. There were so many great images capturing moments of not only us as lovebirds, but of our family and friends sharing our day with us. A big Dyduch thanks to Jax and Miss Swan for not only capturing these moments, but enjoying the vodka with us. 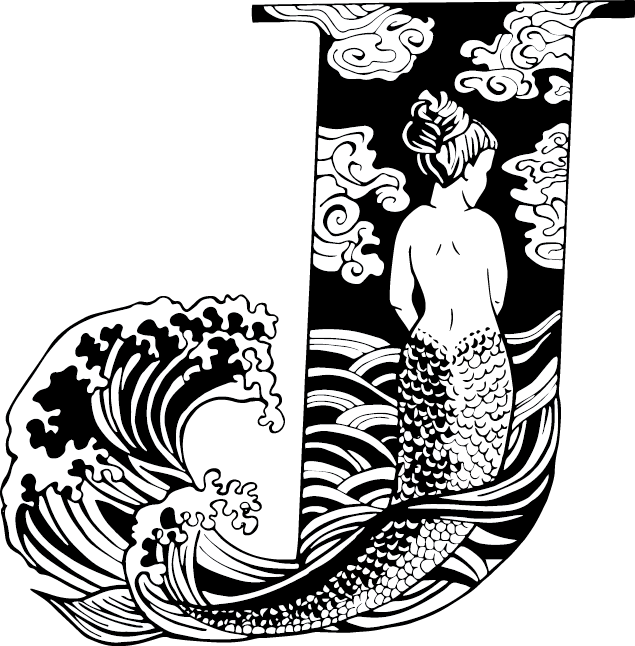 Thanks so much to all the folk that took the time to participate I so appreciate it! These photos made me cry… and I don’t even know the people. Sho. I’m all choked up! 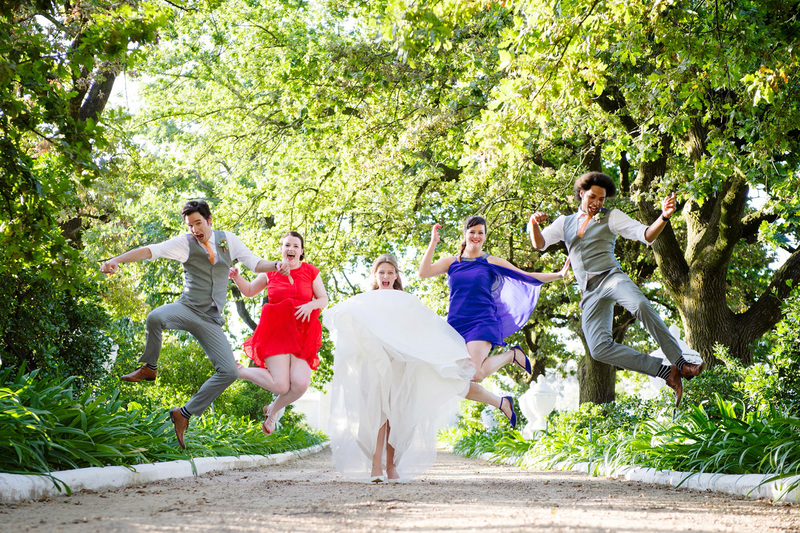 I hope that my wedding will be as full of love, joy, laughter, light and colour as you have managed to capture here! ou’re an incredible photographer!